If you had any doubt the news we reported on Wednesday was not accurate, this should do the trick. First thing Wednesday morning, TSSZ News received a letter from Community Team member and Sonic City Blognik maintainer Kevin Eva, written on behalf of Sega Europe and in his official capacities as a Sega Europe employee. The letter asked us to retract both stories immediately, claiming our reporting was in violation of copyright law, and “additional legal issues,” not elaborating what those were. This, from the Sega employee who, in his spare time, runs on his Sonic website a “Depository,” which is chock full of items just begging to be tagged as copyright infringement. That leads to the first question: Did we hack the ASR site to bring you this information? If we did, Sega would be right in weeding out the leak, and they may have a convincing case against us. Some sites that are relaying our reporting do make a claim that was the result of a site hack. Every piece of information used in our stories was information already available without restriction on Sega’s ASR website. Starting with the help of an anonymous news tip and a few links, we were able to view the information quite easily–without the assistance of a hack, crack, attack, code, password, FTP portal, or anything normally behind a wall. Once again, Sega let something loose out of their own lack of basic security. We’ve been down this road before, but this go-around is even more of an embarrassment. Remember in the first story how XML files are referenced? In getting the ball rolling, our tipster sent us three such XML links, hosted on the ASR website–and the hint of another. In that story, it was mentioned our news tipster didn’t want a those files linked. In his words, “Don’t post links to the .xml files or Sega might be more careful the next time.” It appears too late for that. While we will still guarantee his anonymity, given the circumstances, this reporter has decided to share two of those XML files, to not only verify the authenticity of our information, but to prove they were readily available without the need of any workaround. One XML file, “Moves,” has been cleaned up considerably, and is laid out far different from what was shown Wednesday–this is why we provided watermarked images on the previous story for comparison. Any mention of the All-Star move codenames “CHUCHU,” “PARTSHOP,” and “BONANZA” has been removed, as has any mention of Jacky Bryant. That said, the formatting of the XML file is similar to the screenshot published. The second file, “Game Info,” has largely remained the same…right down to the hidden details on the Wii-specific edition cited, and still not yet published in English. A third XML file, “Tracks.xml,” which was also previously cited, has been pulled off the ASR website. As to the uncovering of images that affirms the final four, those too were available without restriction, and came as an extension of looking in those XML files. Those images were buried within Shockwave Flash, or SWF files. One such file, relating to All-Star Moves, was blatantly available and a part of the site to begin with. The second file obtained, which uncovered the mock character menu, was a simple guess and check. As was disclosed in the article, a decompiler was used to view the data. A quick Google search reveals many legitimate decompilers are available, either free, free on a trial, or for purchase. In fact, after the story was published, a few fans tried it themselves, with similar success. In no way was the stability and integrity of the website compromised. Had we not found it, someone else likely would have, and it would have been just as easy. There was no hack. Period. That leads to the next question: Why can’t Sega still control its own content? Good question. By our count, the stories in question account for the second such leak related to this game alone, and the company had another big gaffe in September. And let’s not forget how both versions Mario and Sonic at the Olympic Winter Games had been leaked in Europe before launch day. With all these leaks in such a short period, Sega appears to, with this threat, hold this as the most serious infraction in some time, probably since the first Unleashed trailer leaked in 2008. So, how serious is this? Apparently, it’s not serious enough where, as of the time of this article’s publication, Sega hasn’t stopped forumers from talking about our stories on their own boards. Yes, while Sega is threatening this site for reporting the story, they’re not having much control in their own realm, allowing several discussions on our findings–with links to our stories, no less–to continue. So, with so much in public, so much of a past history with leaks, and so much sanctioned discussion, one final question remains: Why couldn’t we have just kept quiet and played by the rules? Sega and SUMO Digital clearly have a timed release schedule going for the final characters–otherwise they wouldn’t be so upset. Couldn’t we have approached Sega about our remaining questions? We tried that. It didn’t work. Here’s something you may not know. On November 26th–about 7 weeks ago–we put in an interview request directly with Sumo Digital’s Steve Lycett. He agreed, in principle. TSSZ News staff submitted a list of questions to Lycett on December 2nd, and we were informed Sega of Europe would have to clear those questions before they were answered. Our questions were fair. 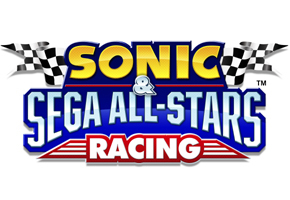 Among them, we asked about Sonic Team’s role, company expectations for the game, communication between Sega and Sumo, how much will be unlockable out of the gates, character rosters, and the role (if any) of NiGHTS. Some of our questions have already been answered by Lycett, outside of Sega approval, via Internet forums. We checked on the status of the interview twice–on December 9th, and January 5th. Both times, Lycett had said they were still under examination by Sega Europe. We have not heard back since, either from Lycett or another Sega Europe representative. But we have heard from Lycett from other channels, inferring those within Sumo Digital have taken a cheap shot at us. Please forgive the editorializing that follows. Were those at Sega Europe better coders and better communicators–instead of those who seemingly can’t be arsed to return an E-Mail until it’s too late–it would have been possible for us to deliver you the information in question, and perhaps more, without subsequent fear and backlash erected from a situation that, again, rests on their shortcomings. As it stands, it is our principal responsibility to report on matters that you, our readers, care about. We are here first to inform, not to appease. With the combined efforts of a credible news tip, further independent research, and a repeated lackluster effort by Sega to simply protect its content, TSSZ News fulfilled its duty to inform on a matter most readers of this website care about. Now, Sega Europe says it wants to punish us for another one of the company’s habitual mistakes. One can only imagine what will be said of us in the halls of Sumo and Sega in the days to come.